In spite of having a very bumpy upbringing, Abisoye Ajayi-Akinfolarin never backpedalled in achieving her dream. 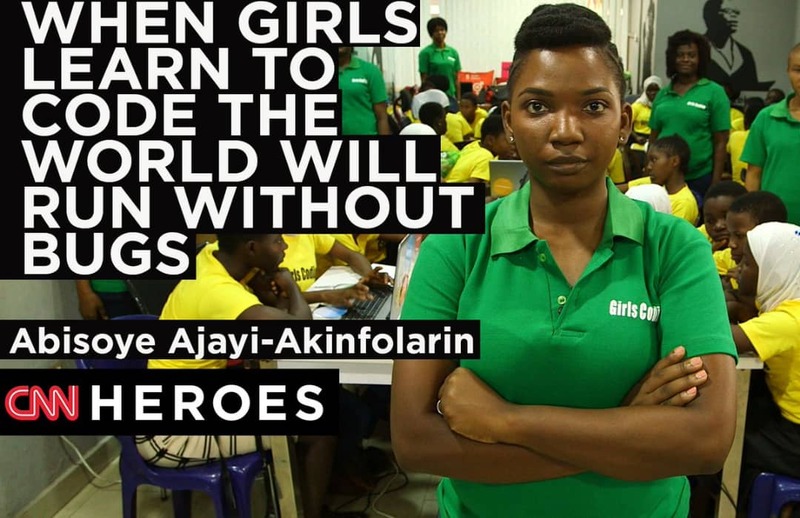 The now-popular computer programmer got her recognition by working to alleviate one of Nigeria’s major predicaments – child education – especially for disadvantaged girls in Lagos. 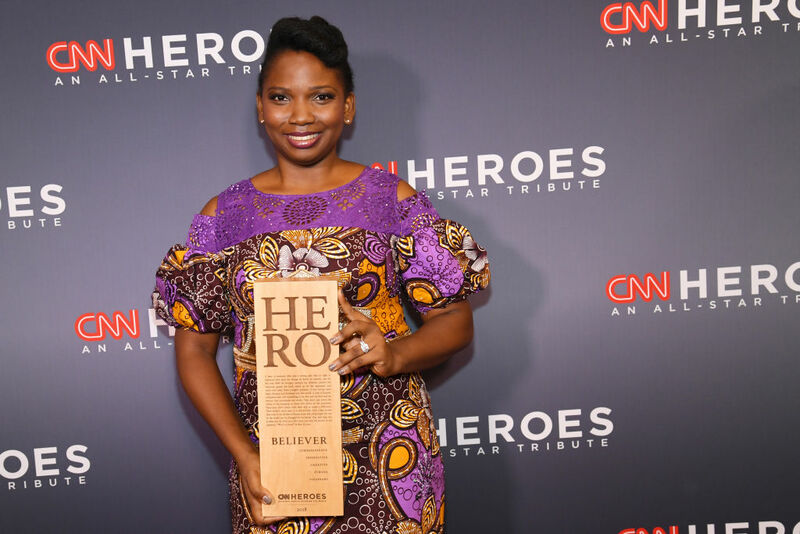 Abisoye’s work has not gone unnoticed; with her recent CNN Heroes recognition and many other accolades that have followed. More than these, however, the number of young school girls she has influenced and the quality of their work is Abisoye’s joy and remains her strongest motivating force. The journey to setting up her foundation began on her first visit to Makoko, the world’s largest “floating slum” built on the Lagos lagoon. She was perturbed with the living conditions of the slum’s occupants, seeing most girls trapped in a cycle of poverty, without any solid plan for the future. Lagos, the industrial hub of Nigeria is built on oil, finance and manufacturing and it is considered Nigeria’s Silicon Valley due to the boom of tech innovation and the buzzing technology ecosystem headquartered in Lagos. This notwithstanding, two-thirds (majority) of the city’s residents live in slums with no electricity, clean water and sanitation, according to Researchers at African Property Investment (API). Abisoye’s relationship with computer technology could be said to be love at first sight. She had her first experience with computers at the age of 10. Every moment she spent at the local business center owned by brother’s friend during school break was bliss for her. She found joy in learning to type and modify text in Microsoft Word, but she discovered her deeper love for computing during her internship programme at an IT firm. “When I got introduced to the world of computer programming, I was just natural with it. It just flowed. It’s all about solving problems. I never knew that I’d be looking for solutions to problems regarding less privileged girls. Abisoye had observed how little women worked in the technology sector. As per a 2013 government study which opined that less than 8% of Nigerian women were employed in professional, managerial or technology jobs. She wanted to fix the gender gap. In 2012, she quit her fulltime IT consulting job to start Pearls Africa Foundation and birthed “GirlsCoding,” a free programme aims to educate — and excite— girls about computer programming. The group has helped over 400 privileged girls gain the technical skills and confidence they need to transform their lives. The students need some sort of encouragement in learning the skills. That is why the students are taken on tours to tech companies so as to show them why they should be passionate enough to join the industry. She is not only thinking of training girls in Lagos alone. At the moment, they are intensifying efforts to establish in different states across Nigeria. Not only that, Abisoye’s long-term goal is to have an institution named Girls Village – a residential program that would provide all types of training for young girls. 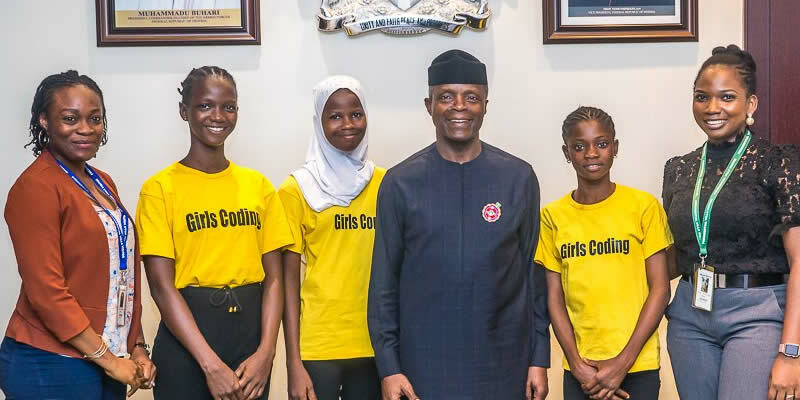 The initiative envisages to give the girls a chance to incubate their ideas about how to solve problems in their communities and learn how to pitch them to big investors. 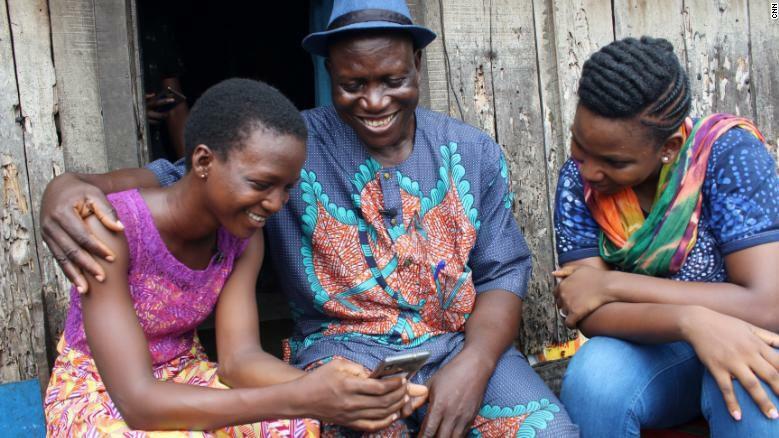 “When girls learn to code, the world win run without bugs.” This is a big win for Africa. If you are interested in joining Abisoye on this mission, check out the Pearls Africa Foundation website and see how to help.